When is it all right to be disorganized? Earlier this week I woke up sick. My stomach was doing acrobatics while simultaneously in a knot. I had no appetite and even the idea of sipping tea made me gag. Luckily, I never did end up in the bathroom, but I did sleep for two days straight. Fortunately, I have a husband who wasn’t working and so he took care of me. But what if you’re sick at home alone (either because you live alone or because everyone else is out of the house for whatever reason)? I know what you should do: accept that you’re sick and you aren’t going to be able to maintain any level of organization at home. Use the energy you have to take care of yourself and let the tissues, the dishes, and the clothes collect. It’s okay to let it go for a short while. No, I’m just sick, this is highly temporary, and it will all go back to normal in a couple of days. There’s no need to hold yourself to your normal housekeeping standards — be gentle on yourself. That, for me, is the trick to getting better quickly. Forget all the responsibilities you can, delegate whenever possible to coworkers, family members and if possible friends, then turn inward and focus 100% on yourself. Learn to let go: if you spend all your energy fighting how sick you are, you won’t have any energy left to get better. Accept it and relax. Learn to stare at the ceiling without any guilt. See it as a chance to catch up on sleep: I don’t know about you, but with all the things I have to do and the thoughts running around in my head every day all day, I never seem to get enough sleep. In being sick, I found the silver lining and have caught up on all my missed sleep. 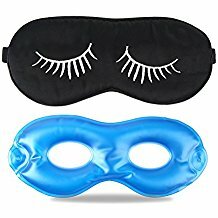 And if you can’t sleep during the day because of light coming into the room, try a sleep mask, but get one that can be heated or cooled to refresh or relax you at the same time. Being organized and living an organized life is not a 24/7 activity. We don’t have to be organized all the time. It’s okay to let it slide every once in a while. Apart from being sick (or taking care of sick family members), when else do you think it’s okay to let the household organization slip? It’s ok to relax the routines and rules during any times of transition – moving, starting school, changing jobs… You have to find your new equilibrium first. Anytime you are busy with something intense but temporary. I just went through a season where 2 to 3 weekends a month were full of good but intense activities out of the home. At the beginning of the year, my spouse and I sat down with the calendar, put in everything we were doing (a series of events that only come about every few years plus yearly activities), identified our essential tasks, determined an acceptable minimal requirement for them – not the ideal interval but what will keep things functional, decided who would do what, and let the rest go. We also did the same thing with all of our regular activities – letting some go while maintaining a reduced presence at others. In an extremely busy and stressful time that lasted for several months, we avoided getting sick except one brief illness in the one week when we could afford to stay home and recover (it may have been our bodies’ way of giving us even more of a break than we planned). We could have really messed ourselves up but by paying attention to our self care, we were able to do everything we planned, wanted and needed to do. I also agree with the times of transition – identify the essential things and let everything else go. Sometimes it turns out that something thought necessary turns out not to be so after all. Trauma or health emergency. I got a call from my cardiologist’s office in early Mar. informing me that according to my heart monitor, my heart had stopped for 10 seconds x2 the day before. I needed to arrange care for my dog and a ride to the hospital and pack a few things for my stay. I spent 2 nights in the hospital for a pacemaker implant. Came home to a mildly chaotic scene, with my desk covered w/the project I was working on and my bedroom a mess from me throwing things in an overnight bag. I rested on the couch for a couple days, then started putting it all straight again. I did need that extra 2 days of Doing Nothing At All. I have a lot of chronic pain and fatigue, and my apartment is really suffering from a lack of organization in the last six months. The apartment was very nice and spare before, but now it’s not nearly as attractive or pleasant to be in. When illness and lack of energy continues, how can you keep up on cleaning and neatening your space? I could use some suggestions… I have been getting rid of excess plants and decluttering by quitting hobbies and removing their supplies. What else can I do? I can’t afford to hire a cleaner. Hi Heather – I also have chronic pain. Mine is in my feet with tarsal tunnel. I’m on lots of pain mgmt meds, but it can only take away some of the pain. I, like you, have had to adjust how I clean house. Instead of cleaning it all in one day, as I previously was able to do, I now divide the tasks and do one task each day. I’ve divided the tasks into these groups: floors, dusting, 2 bathrooms, changing sheets, etc… I’ve found, like you, that the fewer items I have in my home, the easier it is to clean. Good luck!